Aluminium housing with articulated sanding arm. 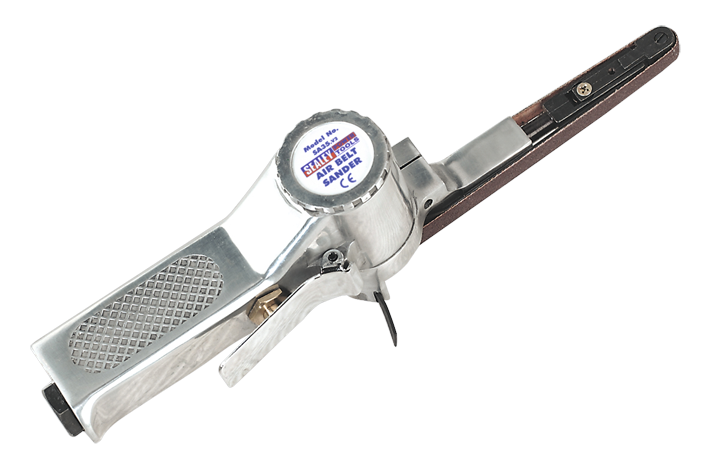 Features belt tracking control, heavy-duty nose roller and one-handed trigger operation. Suitable for sanding otherwise inaccessible areas such as around door-shuts. Supplied with three belts. Replacement belts readily available.